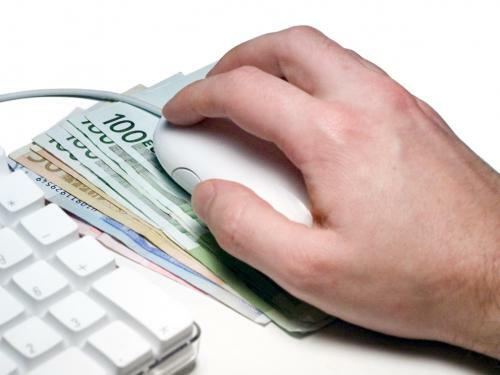 Home » How Safe is Online Banking? More and more people are using their online banks to pay bills and transfer money between accounts these days and I can only image that as time goes on, more and more people will begin to do so as well. I was talking to a friend of mine that is a computer programmer. Somehow we got onto the topic of online banking. He said that neither he, nor any of his colleagues use online banking. This struck me as odd because he is in his late 30’s and I would guess a prime user for this technology. As we talked some more, he told me the reason why he doesn’t bank online. He told me that he could easily break into a bank online and take cash. In fact, it is relatively easy to do. The only thing that is stopping him is the paper trail. With some detective work, law enforcement would be able to trace back to the computer that was used and he would eventually be caught. At first, this statement from him had me concerned. How safe is online banking? Should I stop using online banking? As I thought more and more about it, I realized that many other hackers would also be deterred from breaking into the system to steal money for the exact same reason: the paper trail. But then I thought about the rogue groups or individuals that wouldn’t care about the paper trail and do it anyways. Use a strong password: Don’t use your name followed by the year you were born. Try to make it complex enough so that a would-be hacker will give up and move on to an easier target. Your best bet is to use a phrase you will remember. For example, “I love pizza so much” could be “!LpsM”. Granted most passwords need to be longer in length, but you get the idea. Never use a public computer: At my job, we had a client use a public computer to access his account. He ended up not logging out, just closing the browser. The next person opened the browser and had access to his account. Computers store “cookies” and other information from websites you visit. If you need to find out your balance, keep the 800 number of the bank with you so you can call instead. Never access your account over public wifi: This also applies to wifi at hotels. Once a person is on the network, all bets are off. You don’t know who is in the next room at the hotel or even who at the airport is also on the network. Don’t give them the easy access to your account by logging on with public wifi. I want to make clear again that this post isn’t intended to scare people from using online banking. As I mentioned at the start, nothing will stop someone that is determined to hack into accounts from getting in. But by taking a few basic steps, you can rest assured that the novice hacker that is trying to get some quick funds won’t have to put you through the headaches of trying to get your money back. Trust me, I’ve had my account hacked into and it is not fun going through all of the work to prove what happened, and then waiting for the bank to refund your account. It’s not safe online unless you’ve considered these pointers to be safe. Think before you click, if you’re not sure never give any information online. Trust no one and as possible keep your privacy tight. I don’t think the online banking is unsafe, until you are using all the precautions. I have always made the transactions online and i have felt safe.